Volkswagen of America Inc. announced today that the #PinkBeetle will go into production as a 2017 model, having been shown as a concept at the 2015 New York Auto Show. The first vehicle ever to officially be named as its own hashtag, the exclusive run of #PinkBeetle models will be available in coupe and convertible configurations and will go on sale in the Fall. Pricing of this value-oriented limited-edition model will be announced closer to launch. The 2017 #PinkBeetle will be offered in limited quantities across the United States. 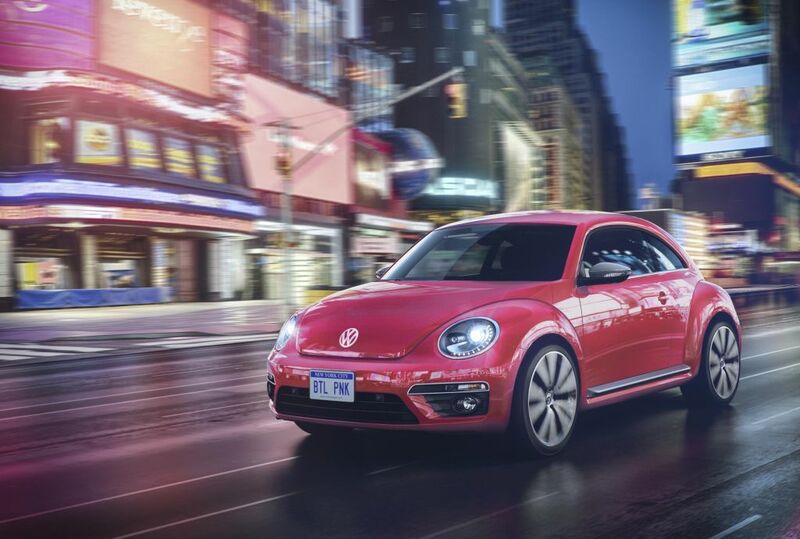 With a 1.8-liter turbocharged direct-injection TSI® engine and a six-speed automatic transmission, #PinkBeetle produces 170 horsepower and 184 pound-feet of torque, and is poised to become an immediate automotive trending topic. Offered in its own unique shade of Fresh Fuchsia Metallic paint, the special edition Beetle model’s eye-catching paint is contrasted by gloss-black mirror caps and black running boards. Coupes are fitted with 17-inch multi-spoke Linas aluminum-alloy wheels, while #PinkBeetle Convertible models feature the 18-inch five-spoke Twister design. Both coupe and convertible versions have Bi-Xenon headlights with LED Daytime Running Lights, LED taillamps and LED rear license plate lighting as standard.